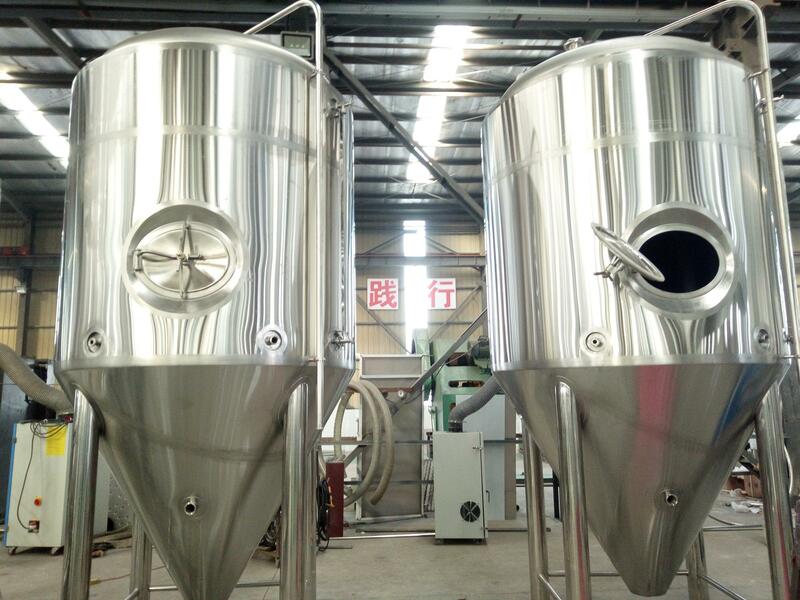 10bbl 15bbl 20bbl beer brewing and manufacturing with sieve plate, laser cutting T-wires, plate gap:0.7- 0.8mm; material is SUS 304. Details:Equipped with good motor, belt pulley, belt, hopper. Gap between 2 rollers is adjustable, you can adjust it according to your needs. With low noise. 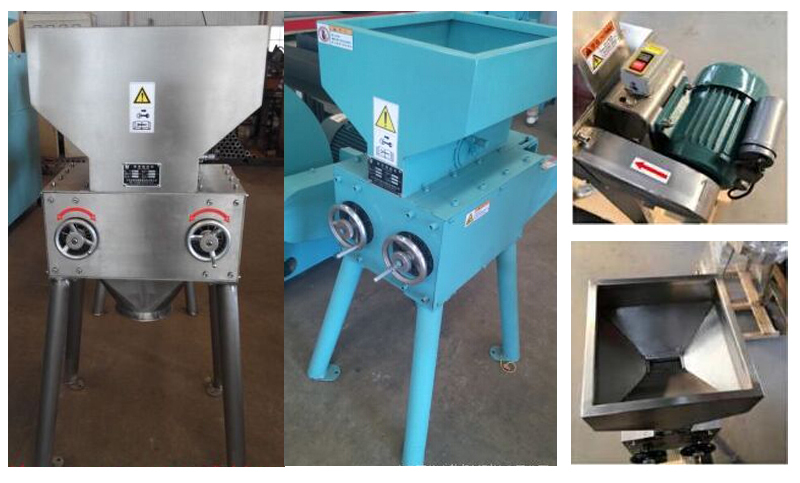 Patented new design roller, use excellent steel axel head and new roller material, mill malt more uniformly and more efficiently. Application:Use for malt mashing, wort filter, wort boiling, and whirlpool. 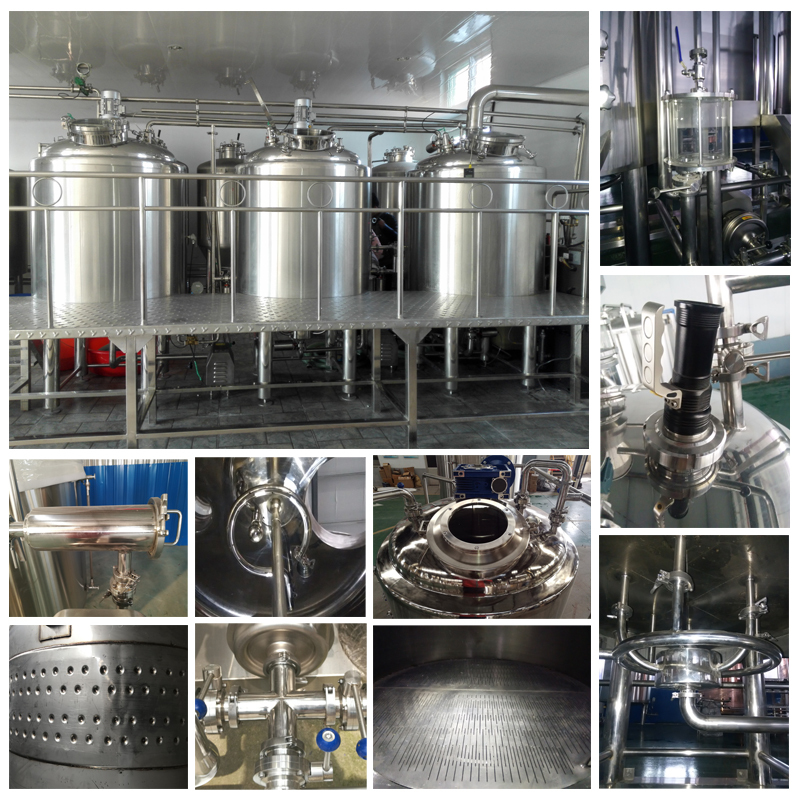 Details: It is include mash tun, lauter tun boiling, whirlpool, wort grant, heat exchanger with oxygenation device, wort pump and etc. During the mashing system, the lauter tank and boiling kettle are vital important for the whole beer manufacturing equipment. It effect the filter of wort. CIP spraying ball, 360° coverage. Top manhole: φ400mm, round stainless steel manhole, equipped with sight glass, used for observe the mashing status. Top manhole or side manhole. Top manhole have better cooling effect of the tanks; Side manhole is much easily to let person enter. The location of mahole is design according to your needs. Glycol jacket: dimple or glycol jacket. Cone bottom:60°cone bottom or according to your needs. Dry hops port on the top of tanks with butterfly valve and hopper(This can remove if the hops enter from other parts, let it make better beer. Full sanitary sample valve, no seal ring, no pollution. The numbers of fermentation tank is according to the beer brewing equipment daily output beer. It include Disinfection tank, Alkali tank,CIP pump. It used to clean mash system, fermentation system and other parts. The motor of the pump is high quality type, it is imported from Switzerland. 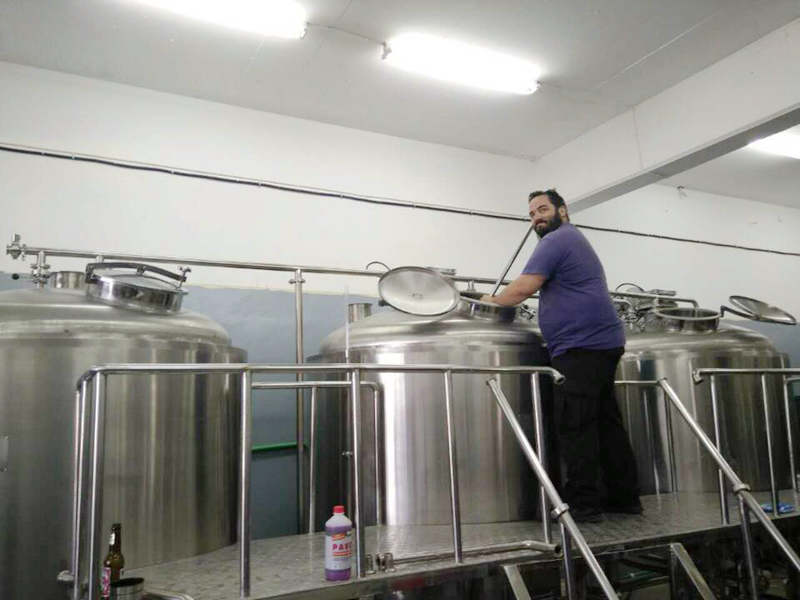 This system is used to clean the whole beer brewing equipment. It used to cooling the fermenter and water to keep the beer fresh. This part play important roles in the whole set beer brewing equipment. it is easy to find spare part. This high qulaity chiller will make sure the cooling system in the beer brewing equipment works very well, durable, high efficiency. Application:Used for controlling mashing sytem,all fermenters/serving tanks,CIP,and cooling system. 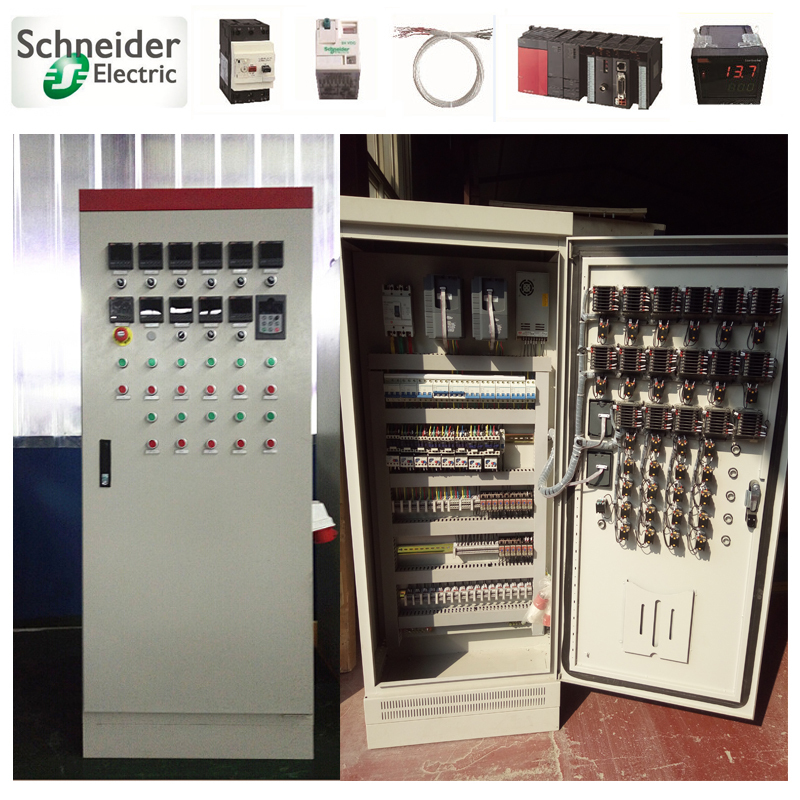 Type:It can be make PLC or Instrument type. All the fermenters /Ice water tank’s temperature will be controlled on the cabinet automatically. 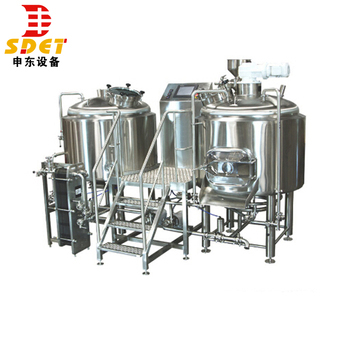 All the six systems are the necessary parts to cooperate together make the beer brewing equipment let the brewers operate easily and keep long tem using. 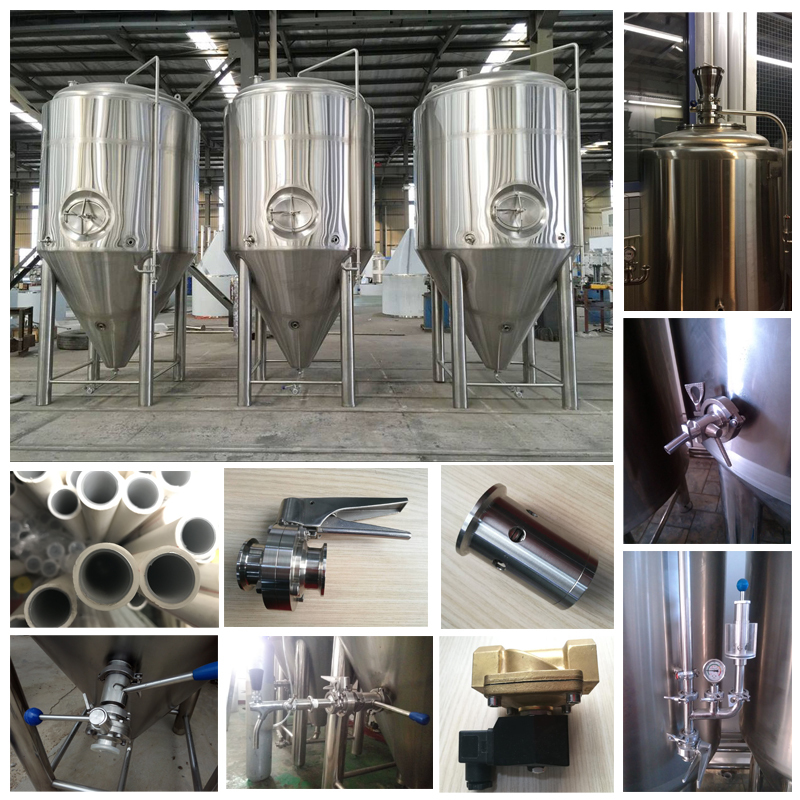 Also have some auxiliary systems: Such as keg filler and keg washer, bottiling line, water treatment sytem and other system, these parts are choosen by the brewers. This set beer manufacturing brewing equipment is make for a Europe client. 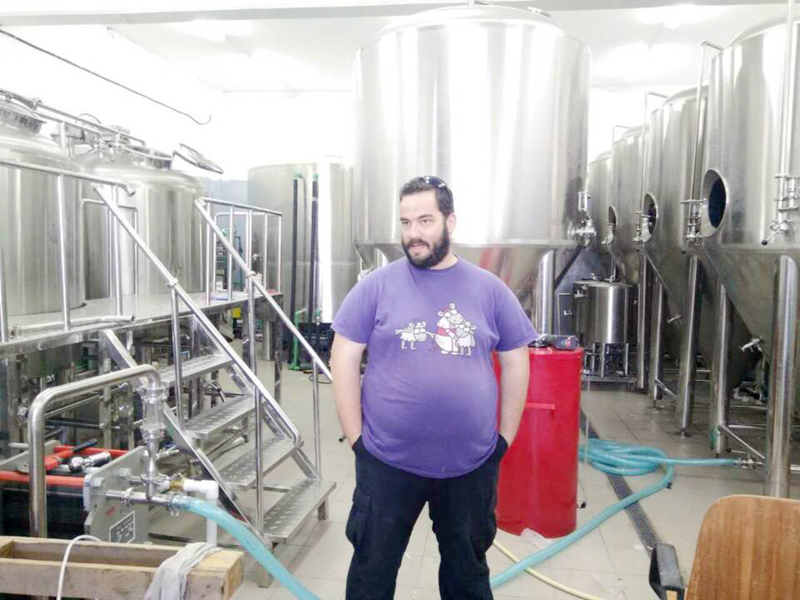 This brewing equipment can be used in hotel, restaurant, bar to make fresh beer. It can be filled in the keg, bottle to sell to other places and distributors. 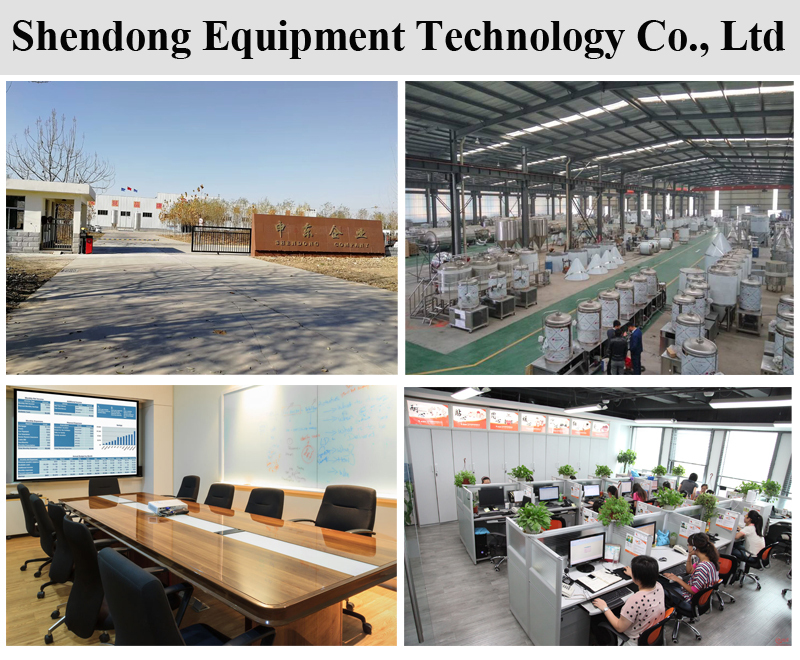 Shandong Shendong Equipment Technology Co., Ltd is one of the most professional beer brewing equipments manufacturer and supplier In the Spring City-Jinan, We have the most advanced technology and world class at Shendong. Shendong is integrating with R&D, processing and engineering installation which is specialized in manufacturing beer manufacturing equipment and facilities, not only suitable for micro and middle breweries, but also becomes the best choice for beer brewing in top hotels, pubs, cabarets, home and other amusement places.The characteristics of this equipment are fabrication at scene, maintain the freshness and nutrition maximum. 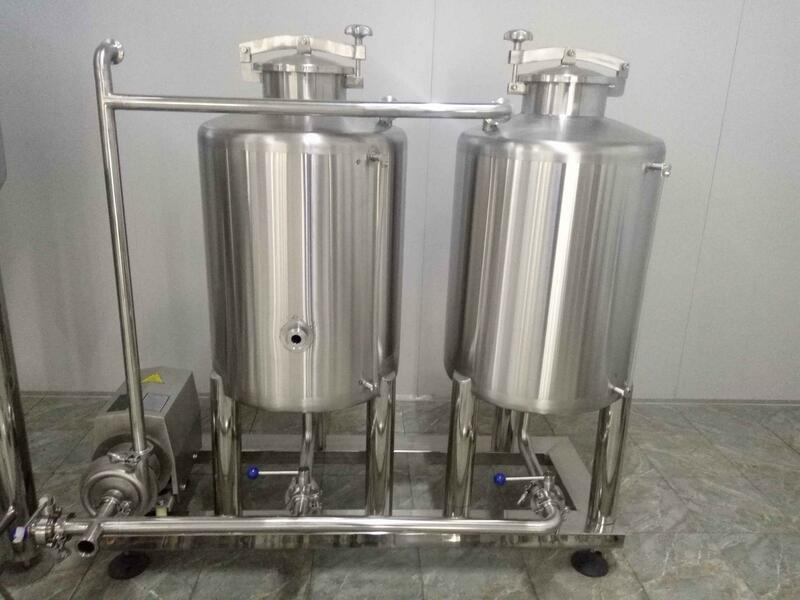 We have exported lots of beer brewery equipment to European and other countries, All the equipment produced by our company are adopted in SUS 304/316, and have passed CE, ISO, and PED test. We can show you our qualification and certification, to ensure provide the best quality equipment for you. 3. Customers' requirements of the packages are available, Please tell in advance. 2. By bulk carrier or independent containers, the size and quantity rely on the configurations and capacity. 3. By sea or railway or land, it depend on customer's request.